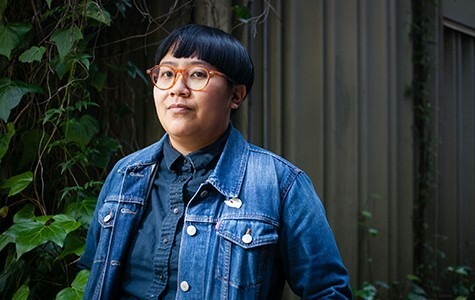 In the latest Commune Editions release, poet Cheena Marie Lo draws the connection between natural and social disasters. 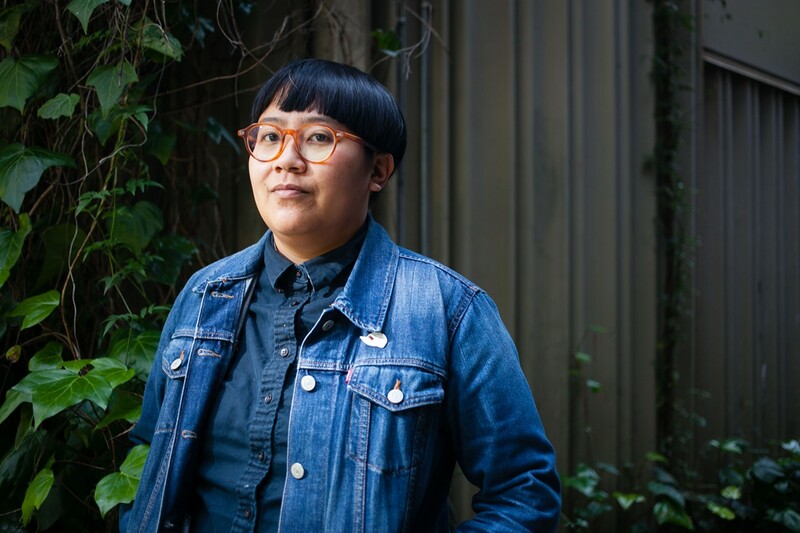 Cheena Marie Lo's new book of poetry, A Series of Un/Natural/Disasters, is not lyrical. It contains no flowery language nor romanticism. Rather, it is intentionally taxing and relentless. It builds on itself like a tub slowly filling with water, threatening to submerge the reader in statistics and fragmented phrases about Hurricane Katrina and other disasters around the world. It's a cryptic collection of phrases, most of which are uncited quotations, characterizing the aftermath of such an unfathomably horrendous disaster, as well as the subsequent human tragedy of the government failing to effectively step in. The debut book, which was released earlier this month by Commune Editions, an imprint of Oakland's AK Press, characterizes the disaster's wreckage as not entirely natural, but rather as symptomatic of social inequities. By disrupting the physical environment, disasters agitate the status quo, making it obvious who is privileged and who is disenfranchised — who is evacuated and who gets left behind. "There's the act of nature, but there's also all of these large social and economic disasters that occur long before that act of nature," said Lo in a recent interview. "I wanted to explore that." Lo moved to the Bay Area approximately five years ago to pursue an MFA in poetry from Mills College. It was during that time that the author saw acclaimed San Francisco writer Rebecca Solnit speak at the Bay Area Anarchist Book Fair. Solnit was arguing that in times of disaster, people become more human and display empathetic qualities rather than resorting to survival of the fittest. Solnit outlined the argument in her 2009 book, A Paradise Built in Hell, which included five case studies of post-disaster situations, including New Orleans. In reference to Hurricane Katrina, Solnit writes about the way that city lights block out the stars, and how power outages undo that visual pollution: "You can think of the current social order as something akin to this artificial light: another kind of power that fails in disaster." "I was really intrigued by that," said Lo of Solnit's talk. "I think it's lovely, but also I was really interested in pushing against that and asking questions like, 'Who gets to become more human in times of disaster and who is unable to do that?'" In A Series of Un/Natural/Disasters, Lo doesn't attempt to answer that question directly. Instead, Lo's poetry circles around it like a linguistic storm. The majority of poems are repetitive series of fragment sentences that form fluid mental maps. One four-page poem ends: because of damage or flooding/because so much is really at stake in all of this/because my heart was just failing/because its exactly what you want/because I've got to go home/because of security concerns/because of the storm. With this gestural style, Lo requires a heightened level of involvement from the reader, who is challenged with making interpretative leaps to cohere a text riddled with disconnects. But those gaps are what distinguish the poetry, which effectively distances itself from its topic, performing the antithesis of the intimacy and collectivity that Solnit described. Lo is not from New Orleans and was not there when Hurricane Katrina hit or during its aftermath. But A Series of Un/Natural/Disasters doesn't attempt to situate the author — or the reader — there. Rather, it's made up of references to the way that the storm and its aftermath were documented, culled from years of research that Lo did on the subject. One poem is a series of quotations from what appear to be questionnaires: "Born in US or other," "Condition limiting work amount," and "Ever lived in foster care." Others are lists of numbers that are meant to remain mysterious to the reader, who might infer that they're death tolls or evacuee statistics or any other possibly related data. Those poems work in tandem to point to how documentation inherently reduces the lived experiences of those who were there — and some more so than others — to comparatively insignificant terms. Ironically, one of the takeaways from the text is that disaster can't be contained in numbers or words or made into arguments by those who were not witnesses. In one poem, Lo lists natural disasters by death toll, then ends with the question: can disaster be qualified by the number of lives lost?/how to quantify absence?